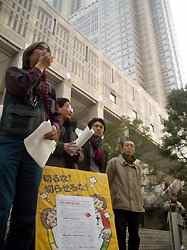 Those who are staying at New Year's shelters for laid-off workers in Tokyo have expressed hope and anxiety about their livelihood and job-hunting. 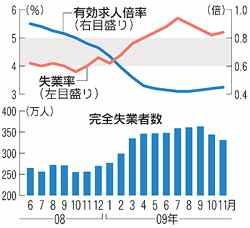 "Last year, I saw a temporary shelter for laid-off workers (in the news) while sitting under the kotatsu (a small table with an electric heater underneath) at home. 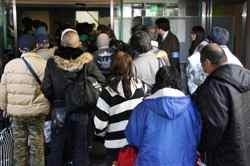 I never imagined I would stay at a similar facility," said a 31-year-old man who was laid off by a mobile phone factory in the northern Kanto area in February. "I want to secure a home by all means and hunt for jobs." After being evicted from the company's housing, he quickly used up the 150,000 yen he had saved. He subsequently held day-labor jobs at construction sites in a desperate effort to earn a living. However, he has been homeless since he escaped from the lodging house of a company that forced him to work for free. The man said it was quite tough to sleep outdoors in winter and he was once "prepared to die." The man spent Monday night at a park in Tokyo's Shinjuku Ward, wrapped in a blanket he had picked up somewhere else. He had not eaten anything for two days. 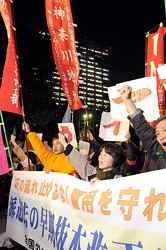 In the park, he consulted a group set up by citizens groups and labor unions providing counseling for needy people, and entered a shelter set up by the Tokyo Metropolitan Government for laid-off workers. 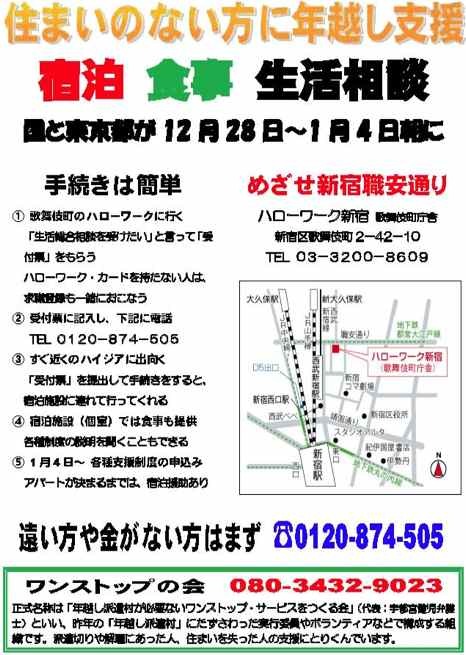 A 51-year-old man who is staying at another year-end temporary shelter for laid-off workers set up by the Tokyo Metropolitan Government, known as "Haken-mura" (village for temporary workers), expressed concern about his life after the New Year's holiday period. "I'm glad that I don't feel uncomfortable about other people because I can stay at a private room here," said the man who lost his job in August. "But I'm worried about the prospects for my life after Jan. 4. 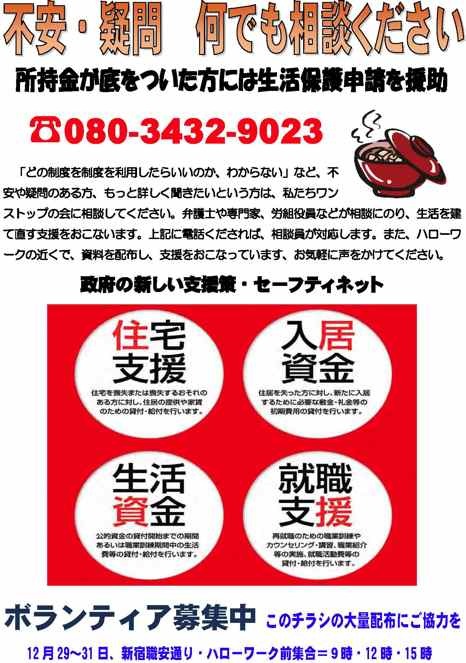 I'm worried about whether I can find work." 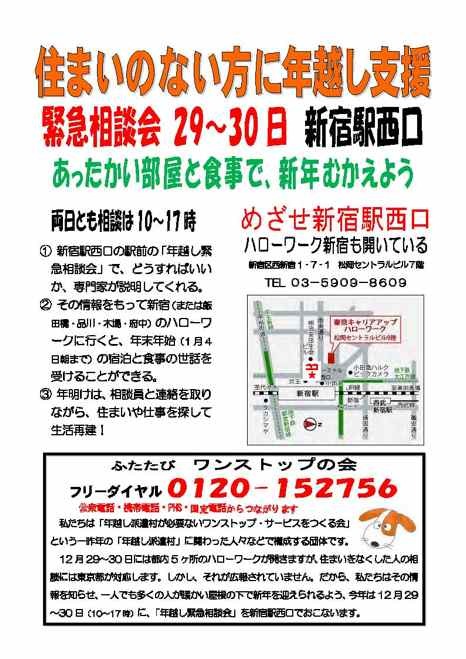 A total of 177 laid-off workers entered Haken-mura set up at the National Olympics Memorial Youth Center in Shibuya Ward on Tuesday, bringing the total number of people staying there to 469, close to its estimated capacity of 500. Governmental employment security center officials provide counseling to residents of the facility. 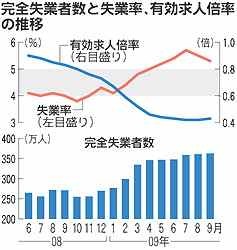 A year-end temporary shelter for laid-off workers opened in Tokyo's Shibuya Ward this week, already drawing many users amid mounting concerns over employment and the economic recession. 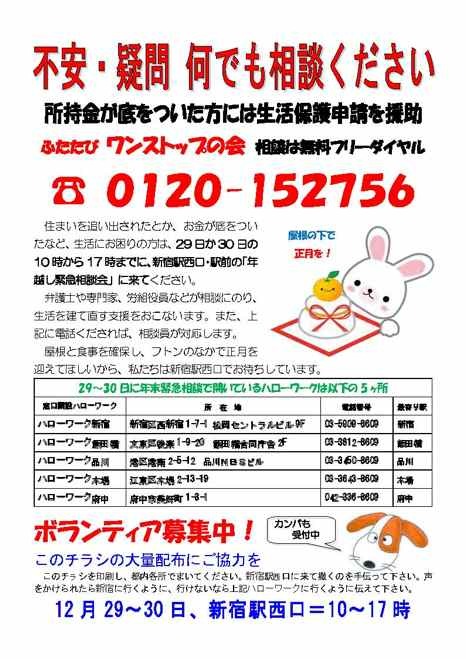 The Tokyo Metropolitan Government started the services to provide protection to those who have lost their jobs and homes during the year-end and the New Year season. 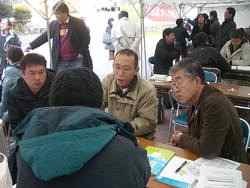 The temporary shelter, commonly known as the "Haken-mura" (village for temporary workers), has been set up at the National Olympics Memorial Youth Center in Tokyo's Shibuya Ward, which attracted 275 users, more than half of its estimated capacity of 500, on the first day. The facility will offer accommodation, meals and counseling services for housing, employment and mental problems through to Jan. 4. 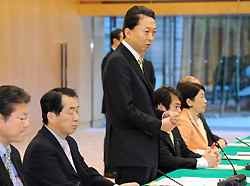 "The situation could be even fiercer than the last year," said Deputy Prime Minister Naoto Kan, who inspected the facility along with Labor Minister Akira Nagatsuma. "There may be more than 500 people needing protection, so we must discuss further options." "All I have is 140 yen. I'm glad I can sleep on a futon," said a 39-year-old man, who has been living in a park since he lost his job in October last year. A 36-year-old man who also stayed at a similar facility last winter expressed his concern over employment. "It's hard to get a job without a residence certificate. But I want to find one somehow." As part of its emergency employment measures, the central government is also set to introduce other support measures across the nation on Tuesday. 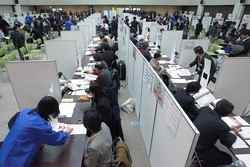 The government's program to extend comprehensive assistance to those who have become homeless or financially strapped after losing their jobs commenced on a trial basis on Monday at 77 public job-placement offices in Tokyo and other cities across Japan. 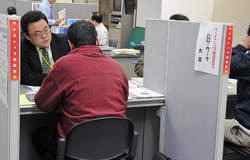 The administrative support plan, called "One-stop Services," is the first cross-sectional initiative introduced by the government to help the unemployed and homeless. Based on the results of the trial, the government plans to start full-scale services in December. 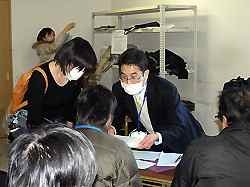 At the Hello Work Iidabashi unemployment office in Tokyo's Bunkyo Ward, about 10 people lined up before its opening at 8:30 a.m. on Monday, seeking advice from 14 counselors, including ward workers and lawyers. "I've been sleeping on the street. All I need is a job to earn money to survive," said a 62-year-old man, who was fired from his job. 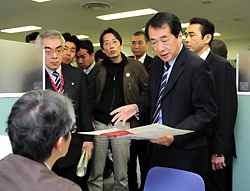 "After reviewing today's trial, we would like to start providing services so that people can at least receive minimum advice and housing support during the year-end and New Year season," said Deputy Prime Minister Naoto Kan, acting director of the government's Emergency Employment Measures Headquarters, who inspected the Hello Work office in Tokyo's Shibuya Ward together with Makoto Yuasa, an advisor to the Cabinet Office in charge of poverty programs. 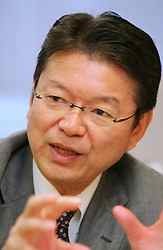 "I hope the government will develop a seamless social safety net," Yuasa said.